A new culture of innovation is needed to make radical innovations. That was the thesis of the third annual Research Summit in Berlin, where it was discussed by key players in science, business, civil society and politics. Each year, the summit provides a unique platform for a diverse set of actors to promote progress in science and research. The high-caliber attendees and the large amount of attention generated by the summit underscore the relevance of research and science in Germany. On an international level, the well positioned status of Germany as a location for science is well known. Nevertheless, the industry is increasingly recognizing that it is becoming progressively difficult to maintain and expand this position on a global scale. For this reason, it has become necessary to promote innovation if Germany is to remain an attractive location for national and international scientists and research companies. Undoubtedly, Germany boasts some of the world's leading scientific institutions and has made a decisive step with its Excellence Initiative to sustainably strengthen top-level research. However, excellence alone does not equate to innovation. In Germany, two major areas can be identified where changes are needed to improve the national innovation climate. A tendency towards risk aversion is a major factor holding Germany back from developing its full potential in the field of disruptive innovation and taking advantage of its population of bright minds. Compared to other parts of the world, such as the United States, Germany is significantly different. The principle of "trial and error" has not prevailed among German society. Thus, innovation is inhibited by a culture of overcautiousness and perfectionism, all in an effort to avoid mistakes. Yet much can be learned from mistakes. Germany must allow itself to grow into a culture that has the courage to experiment outside its comfort zone. There is no doubt that not every project can be successful. Germans must allow themselves to experience setbacks and failures. 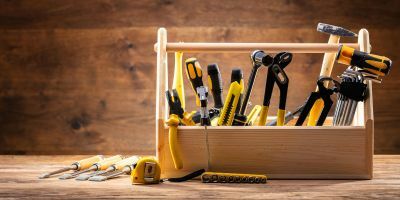 Failure is not necessarily equivalent to a malfunction: a project can be discontinued for a variety of reasons even when the original idea is quite promising. A second problem area is the basic handling of technology. Germany continues to be skeptical about new, disruptive technologies. Robotics and artificial intelligence are, for example, much more critically received here in Germany than in other countries. This hesitancy toward embracing technology leaves a large space for potential innovation. For example, Germans often feel a great amount of wariness when dealing with data, yet a large part of innovation in the coming decades will be based on the analysis and evaluation of data. Established data management can make it possible to exploit and utilize the volume of existing data. At the same time, the concept of ensuring optimal data protection will continue to increase in relevance. 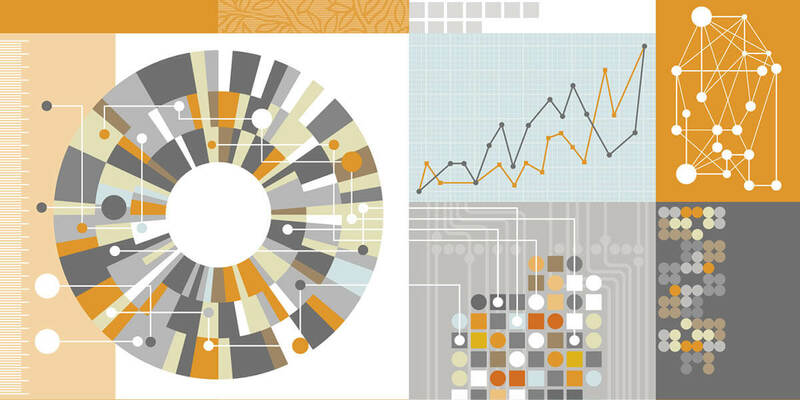 The Humboldt-Elsevier Advanced Data & Text (HEADT) Center is a pioneer in this area. It brings together experts from the Humboldt University of Berlin, Elsevier and other partners to research topics such as scientific integrity and replicability, as well as efficiency in database structures and text mining. 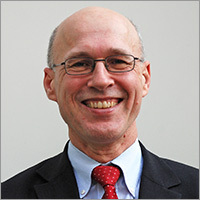 The HEADT Center focuses on quality, technology and scientific excellence in a unique way, emphasizing how innovation and application-oriented innovation are promoted in Germany. In addition, Elsevier and Humboldt University recently signed an agreement to set up an Information Management Professorship as part of the Einstein Center Digital Future. Elsevier shares the resolve and goal of bringing about social change through technology and innovation with various important players in the scientific community, business, politics and civil society in Germany. It is therefore of the utmost importance to seek exchanges, share experiences and mutually stimulate new paths. Another major area that is essential for the creation of an innovation-friendly climate is gender equality in research. In Germany, 50 percent of women with a university degree are currently prevented from pursuing a career in science or industry due to unfavorable conditions. It is no secret that diversity is a prerequisite for innovation in research. 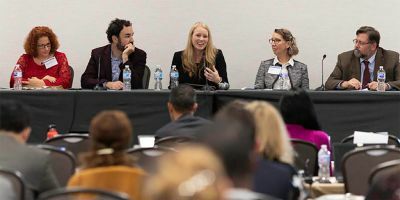 As a result, it is a growing trend in the industry, supported by initiatives such as the introduction of female quotas that will help promote equality. This trend can be observed outside of Germany as well. 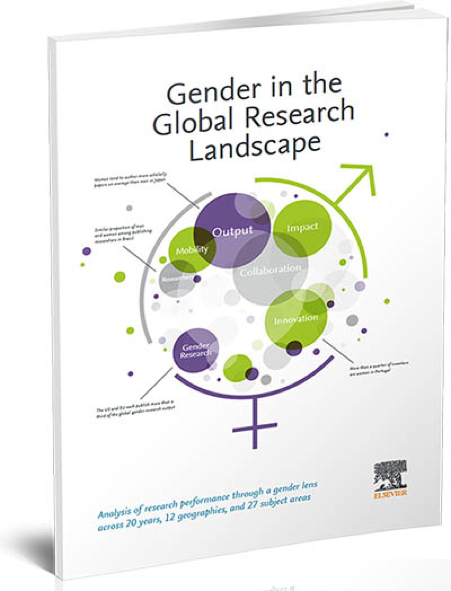 In the recent report Gender in the Global Research Landscape, Elsevier investigated the relationship between women and men in research, highlighting the obstacles standing in the way of achieving gender balance in research. Decision-makers in politics, industry and science must be provided with the facts and evidence necessary to further promote gender equality. 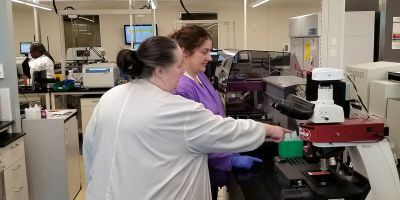 The report does reveal that the number of female researchers has risen in recent years, although the rate of women publishing work remains low. Despite the existing diverse range of initiatives aimed at encouraging women to engage in professions and research in STEM-related fields (mathematics, computer science, and other areas of science and technology), there is still much work to be done in this area. To achieve change and progress in these areas, a broad-based dialogue is essential. The Research Summit provides an excellent forum every year to promote innovation through joint, interdisciplinary multi-level collaboration. 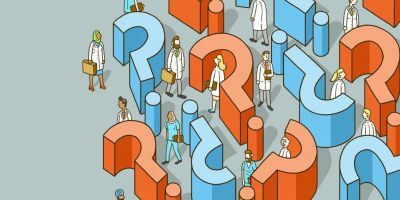 Germany is still one of the world's most research-intensive countries, but there are deficits to overcome to maintain or improve this position. The Research Summit brings together policy, industry, science and civil society to enable what is absolutely necessary for innovation: dialogue. To this extent, such an event can only be found in Germany. As a member of the Stifterverband, Elsevier is part of this dialogue. Building on our transformation from a classical publisher to an information analytics company, Elsevier seeks to support the German research landscape in efforts to make digital information more easily accessible, to render it applicable for decision making, and to help researchers network more effectively on a global scale. With our digital tools and big-data technologies, we are leading the way in translating STEM data into knowledge that can be acted on. We’re working to provide German researchers and practitioners with the services and foundation they need to work efficiently: quality content and innovative technologies to access, share and manage. At Elsevier, we consider it a key responsibility and underlying goal to support excellent research and work with a wide range of partners and initiatives to eliminate the hurdles hindering Germany on the road to becoming an innovation leader. Although Germany has some of the brightest minds in the global research community, there is room for further development. It is necessary to create a risk-taking culture, to bring digitization into research, and to move toward gender equality. Germany is entering an exciting decade that will determine what role it will play in the global innovation landscape. 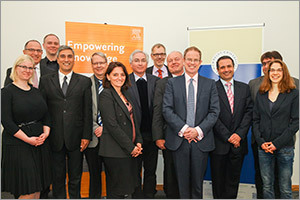 At Elsevier, we look forward to helping Germany develop its innovative potential. The Research Summit in Berlin was launched in 2015. Since then, it has been organized by the Leopoldina - The National Academy of Sciences and the Stifterverband for German Science. The central focus is to create improved perspectives for Germany through research and innovation. Once a year, decision-makers, renowned experts and thinkers in science, business, civil society and politics meet to exchange ideas on the advancement of Germany’s innovation framework. For the Gender in the Global Research Landscape report, gender-specific differences in science were considered over a period of 20 years. The study included 12 countries and regions as well as 27 subject areas. 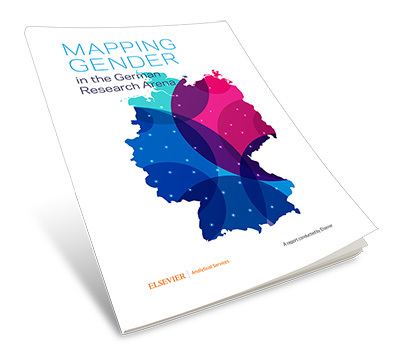 The report is based on a novel methodology for analyzing gender issues in research. Data from Elsevier's Scopus was combined with data from social media, applied name research and Wikipedia using the advanced data analytics capability of SciVal. Furthermore, the analyses were complemented by contributions from interest groups and individuals around the world, such as the World Intellectual Property Organization (WIPO). Read more. Elsevier’s Gender and Science Resource Center is a source of information for researchers, research leaders, policymakers and anyone else interested in gender diversity and its impact on science and the society. The resource center includes the recent gender report, a public Mendeley library of the main references used in the report, an infographic and more. Deutschland ist nach wie vor eines der forschungsstärksten Länder weltweit. Trotzdem gibt es Hürden und Defizite, die überwunden werden müssen, um diese Position im globalen Wettbewerb zu halten. Unter dieser These diskutierten vor Kurzem die wichtigsten Akteure aus Wissenschaft, Wirtschaft, Zivilgesellschaft und Politik in Berlin beim dritten Forschungsgipfel. Jedes Jahr bietet der Gipfel den verschiedenen Akteuren eine einzigartige Plattform, um den Fortschritt in Wissenschaft und Forschung zu fördern. Die hochkarätige Besetzung und die große Aufmerksamkeit, die der Gipfel erhält, unterstreichen die Relevanz von Forschung und Wissenschaft in Deutschland. Man weiß um die gute Position als Wissenschaftsstandort im internationalen Vergleich. Trotzdem erkennt die Branche zunehmend, dass es immer schwieriger wird, diese Position im globalen Wettbewerb zu halten und weiter auszubauen. Doch genau dies ist notwendig, um Innovation zu fördern und ein attraktiver Standort für nationale und internationale Wissenschaftler und forschende Unternehmen zu bleiben. Ohne Frage verfügt Deutschland über einige der weltweit führenden Wissenschaftseinrichtungen und hat mit der Exzellenzinitiative einen entscheidenden Schritt getätigt, um universitäre Spitzenforschung nachhaltig zu stärken. Exzellenz allein ist jedoch nicht gleichzusetzen mit Innovation. Insgesamt lassen sich zwei Bereiche identifizieren, in denen Veränderungen notwendig sind, um das nationale Innovationsklima zu verbessern. Eine Tendenz zur Risikovermeidung hindert uns daran, im Bereich der disruptiven Innovationen unser volles Potential zu entfalten und unsere klugen Köpfe zu nutzen. Deutschland unterscheidet sich hierbei maßgeblich von anderen Teilen der Welt wie zum Beispiel den USA. Das Prinzip von „trial & error“ hat sich in den Köpfen der Menschen nicht durchgesetzt; so wird Innovation durch Vorsicht und das Bestreben Fehler zu vermeiden, gehemmt. Dabei lässt sich aus Fehlern viel lernen. Wir müssen zu einer Kultur hinwachsen, die Mut zum Ausprobieren hat. Es steht außer Frage, dass nicht jedes Projekt von Erfolg gekrönt sein kann. 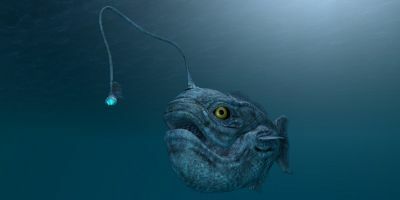 Wir müssen uns auch trauen, Misserfolge und Fehlschläge als solche anzuerkennen. Scheitern ist dabei nicht zwangsweise mit Versagen gleichzusetzen: Ein Projekt kann aus den unterschiedlichsten Gründen eingestellt werden, mag die ursprüngliche Idee auch noch so vielversprechend gewesen sein. Ein zweiter Bereich ist der grundsätzliche Umgang mit Technologie. Deutschland zeigt sich weiterhin skeptisch gegenüber neuen, disruptiven Technologien. Robotik und künstliche Intelligenz werden etwa hierzulande sehr viel kritischer gesehen als in anderen Ländern – durch diese Zurückhaltung geht ein großes Innovationspotential verloren. Skepsis spüren wir zum Beispiel auch im Umgang mit Daten: Ein Großteil der Innovationen der nächsten Jahre und Jahrzehnte werden auf der Analyse und Auswertung von Daten aufbauen. Ein fundiertes Datenmanagement kann es ermöglichen, die Menge an vorhandenen Daten, die in den kommenden Jahren immer weiter ansteigen wird, zu verwerten und zu nutzen und gleichzeitig Datenschutz optimal zu gewährleisten. Das Humboldt-Elsevier Advanced Data & Text (HEADT) Centre nimmt in diesem Bereich eine Vorreiterrolle ein. Disziplinübergreifend vereint es Experten der Humboldt-Universität zu Berlin, Elsevier und weitere Partner, um Themen wie wissenschaftliche Integrität, einschließlich der Reproduzierbarkeit von Wissenschaft, sowie Effizienz in Datenbankstrukturen und Text Mining zu erforschen. Das HEADT Centre widmet sich den Themen Qualität, Technologie und wissenschaftliche Exzellenz auf eine bisher einzigartige Art und Weise, die unterstreicht, wie in Deutschland anwendungs- und lösungsorientiert Innovation gefördert wird. Darüber hinaus haben Elsevier und die Humboldt-Universität kürzlich ein Abkommen zur Einrichtung einer Professur für Informationsmanagement als Teil des Einstein Center Digital Future unterzeichnet. Den Willen und das Ziel, gesellschaftliche Veränderungen durch Technologie und Innovation herbeizuführen, teilen wir mit vielen anderen wichtigen Akteuren der Wissenschaftsgemeinschaft, Wirtschaft, Politik und Zivilgesellschaft in Deutschland. Umso wichtiger ist es, den Austausch zu suchen, Erfahrungen zu teilen und sich gegenseitig anzuregen, neue Wege zu gehen. Ein weiterer großer Bereich, der essentiell für die Schaffung eines innovationsfreundlichen Klimas ist, ist die Gleichstellung der Geschlechter in der Forschung. In Deutschland werden tatsächlich noch heute 50 Prozent der Frauen mit Hochschulabschluss aufgrund ungünstiger Rahmenbedingungen an einer Karriere in Wissenschaft oder Industrie gehindert. Dabei ist es kein Geheimnis, dass Diversität eine Grundvoraussetzung für Innovation in der Forschung ist. In der Industrie bahnt sich ein immer sichtbarer werdender Wandel an und auch die Einführung der Frauenquote wird dabei helfen, Gleichberechtigung zu fördern – eine positive Tendenz, die sich nicht nur in Deutschland beobachten lässt. In dem vor kurzem erschienenen Bericht Gender in the Global Research Landscape hat Elsevier das Verhältnis von Frauen und Männern in der Forschung untersucht und Hürden aufgezeigt, die einer Geschlechterbalance in der Forschung entgegenstehen. Damit möchten wir Entscheidungsträgern in Politik, Industrie und Wissenschaft eine Faktenbasis an die Hand geben, die notwendig ist, um den Wandel hin zur Geschlechtergerechtigkeit weiter voranzutreiben. Der Bericht zeigt, dass die Zahl weiblichen Forscher in den letzten Jahren angestiegen ist, Frauen aber immer noch weniger publizieren. Obwohl viele Initiativen existieren, um Frauen zu Berufen und Forschung im MINT-Bereich (Mathematik, Informatik, Naturwissenschaft und Technik) zu ermutigen und die entsprechenden Rahmenbedingungen dafür zu schaffen, liegt in diesem Bereich noch viel Arbeit vor uns. Um in den genannten Bereichen Veränderung und Fortschritt zu erreichen, ist ein breit angelegter Dialog essentiell. Der Forschungsgipfel bietet jährlich ein hervorragendes Forum, um durch eine gemeinsame, interdisziplinäre Zusammenarbeit auf allen Ebenen Innovation vorzutreiben. Deutschland ist nach wie vor eines der forschungsstärksten Länder weltweit. Trotzdem gibt es Defizite, die überwunden werden müssen, um diese Position zu halten oder gar zu verbessern. Der Forschungsgipfel bringt Politik, Industrie, Wissenschaft und Zivilgesellschaft an einen Tisch, um das zu ermöglichen, was für Innovationen zwingend notwendig ist: den Dialog. In diesem Umfang ist eine solche Veranstaltung nur in Deutschland zu finden. Als Mitglied des Stifterverbandes ist Elsevier Teil dieses Dialogs. Aufbauend auf unserer eigenen Unternehmensgeschichte und Transformation vom klassischen Verleger hin zu einem Information-Analytics-Unternehmen, möchten wir die deutsche Forschungslandschaft im Bereich Digitalisierung unterstützen, um digitale Informationen schneller auffindbar zu machen, sie besser zu vernetzen und sie als Entscheidungsgrundlage nutzbar zu machen, um so Forschern eine effiziente Zusammenarbeit weltweit zu ermöglichen. Mit unseren digitalen Tools und Big-Data-Technologien sind wir führend in der Übersetzung wissenschaftlich-technologischer und medizinischer Forschungsdaten in Informationen. Wir arbeiten daran, deutschen Forschern und Praktizierenden die Leistungen bereitzustellen, die sie benötigen, um effizient zu arbeiten: Qualitativ hochwertige Inhalte und innovative Technologien, um auf diese Inhalte zuzugreifen, sie zu teilen und gemeinsam mit ihnen zu arbeiten. Wir sehen es als unsere Verantwortung und unser ureigenes Bestreben, exzellente Forschung zu ermöglichen und arbeiten mit verschiedensten Partner und Initiativen daran, die Hürden zu beseitigen, die Deutschland auf dem Weg zum Innovationsführer im Wege stehen. Denn obwohl Deutschland einige der klügsten Köpfe der weltweiten Forschungsgemeinschaft hat, gibt es Raum für Weiterentwicklung. Es gilt, eine Wagniskultur zu schaffen, die Digitalisierung in die Forschung zu bringen und an der Gleichstellung der Geschlechter zu arbeiten. Elsevier bringt hier Wissen und Erfahrung auf internationaler Ebene mit – um Deutschland dabei zu helfen, sein innovatives Potential voll zu entfalten. Wir stehen vor einem spannenden nächsten Jahrzehnt, in dem sich entscheiden wird, welche Rolle Deutschland in der globalen Innovationslandschaft spielen möchte – und wir freuen uns darauf, unseren Teil beizutragen. Der Forschungsgipfel wurde 2015 ins Leben gerufen. Seitdem wird er von der Leopoldina – Die Nationale Akademie der Wissenschaften und dem Stifterverband für die Deutsche Wissenschaft e.V. organisiert. Das zentrale Anliegen des Forschungsgipfels ist es, mit Forschung und Innovation verbesserte Perspektiven für die Bundesrepublik Deutschland zu schaffen. Einmal im Jahr kommen Entscheider, renommierte Experten und Vordenker aus Wissenschaft, Wirtschaft, Zivilgesellschaft und Politik zusammen, um sich über die Weiterentwicklung des deutschen Innovationssystems auszutauschen. Für den Bericht Gender in the Global Research Landscape wurden über einen Zeitraum von 20 Jahren geschlechterspezifische Unterschiede in der Wissenschaft betrachtet. Die Untersuchung umfasste zwölf Länder und Regionen sowie 27 Fachbereichen. Der Bericht basiert auf einer neuartigen Methodik zur Analyse von geschlechtsspezifischen Fragen in der Forschung. Dafür wurden Daten aus Elseviers Datenbanken SciVal und Scopus sowie Daten aus sozialen Medien, der angewandten Namensforschung und Wikipedia miteinander kombiniert. Des Weiteren wurden die Analysen durch Beiträge von Interessensverbänden und Einzelpersonen auf der ganzen Welt ergänzt, wie z. B. der World Intellectual Property Organization (WIPO). Erfahren Sie mehr. Elseviers Gender and Science Resource Center ist eine Informationsquelle für Forscher, Politiker und alle anderen, die sich für die Geschlechterdiversität und ihre Auswirkungen auf die Wissenschaft und die Gesellschaft interessieren. Das Resource Center beinhaltet den vor Kurzem veröffentlichten Gender-Bericht, eine öffentliche Mendeley-Bibliothek der wichtigsten Referenzen, die in dem Bericht verwendet wurden, eine Infografik und vieles mehr. 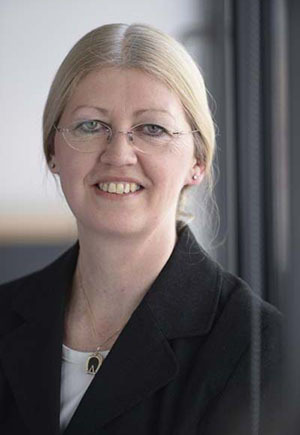 Angelika Lex is VP of Academic Relations for Germany, Austria and Switzerland at Elsevier. She studied biology, immunology and biochemistry in Stuttgart and Tübingen, Germany. Since 1987, she has been a part of the Elsevier team in various functions: in 2003 she was appointed Managing Director of Elsevier in Munich. From 2007, she was Director of Operations Europe, responsible for the Health Sciences Europe operating division. She has been in her current role since 2010. Angelika Lex ist Vice President Academic Relations bei Elsevier in Deutschland, Österreich und der Schweiz. Sie hat Biologie, Immunologie und Biochemie in Stuttgart und Tübingen studiert. Seit 1987 ist sie bei Elsevier in diversen Funktionen tätig: 2003 wurde sie zur Geschäftsführerin von Elsevier in München ernannt. Ab 2007 war sie als Director Operations Europe für den operativen Bereich Health Sciences Europe verantwortlich. Seit 2010 hat sie ihre derzeitige Rolle inne.